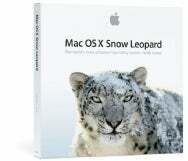 Lion may be the new leader of the Mac OS X pride, but Apple hasn’t forgotten about Snow Leopard users: On Monday, the company released Mac OS X 10.6.8 Supplemental Update and Mac OS X 10.6.8 Server Supplemental Update which offers fixes and patches for minor Snow Leopard and Snow Leopard Server issues. According to Apple’s Support page, the Snow Leopard update contains fixes for several small issues, including transferring information, settings, and applications from your Snow Leopard machine to a Mac running Lion; networked printers that automatically pause and then cancel print jobs; and a system audio short when using HDMI or an optical audio out cable. You can download the patch from your computer’s Software Update utility or from Apple’s Support Downloads website.